Drama finds me. It sneaks into banal corners of my life and makes them turns them into Mardi Gras Parades of drama that trail through days or weeks, sucking my time and energy. 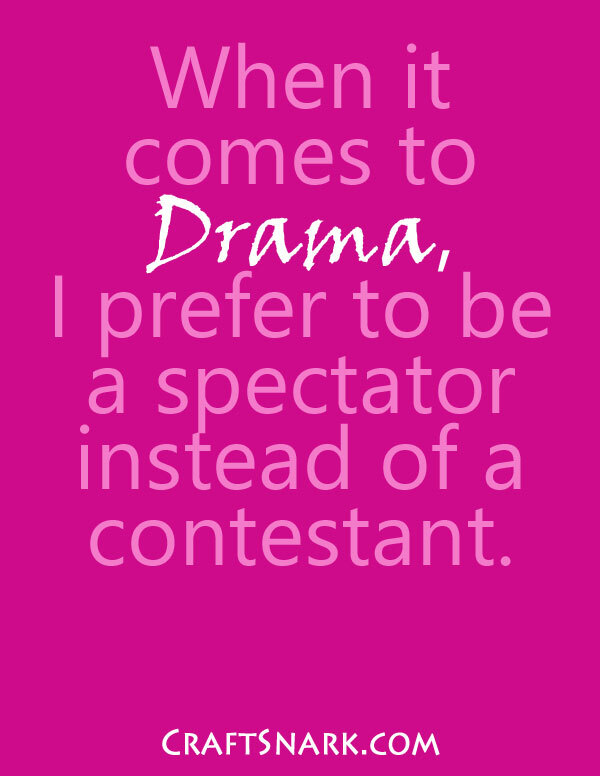 Which isn't to say that I don't like drama. I'm a fan of Thursday night television. Spending a weekend of bingeing on a Movie of the Week marathon sounds like a perfect way to pass the time. 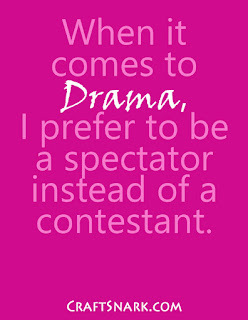 Because drama is best enjoyed behind glass - either bullet proof or touch-screen. Drama is best enjoyed with a side of popcorn and extra heartburn-enducing butter. But the heartburn, and ache, that comes with being ensnared in drama isn't nearly as fun. Maybe, when I was a teen, I enjoyed suiting up to grab a slug of drama between friends. Because teen girl friendships are woven out of lipgloss and heartbreak. But as an adult, I prefer to hang out in pajama pants and measure myself a dose of wine while reaching for the remote. I've got all the drama I need saved on my DVR.